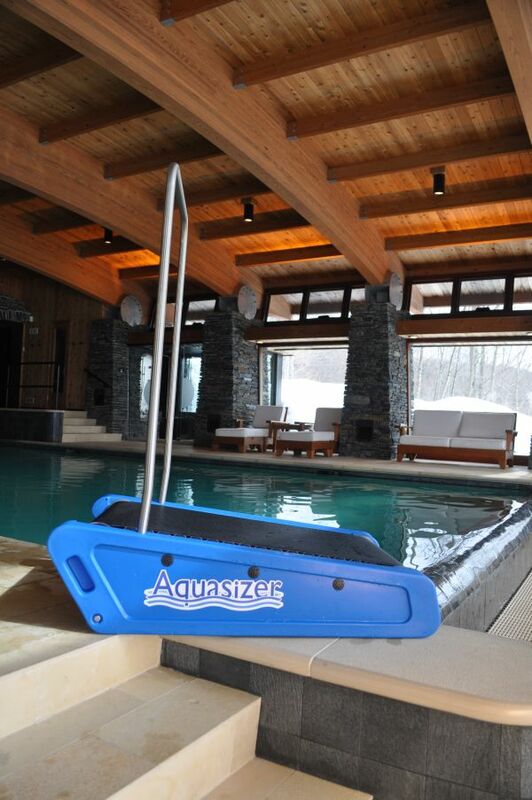 [divider_padding] [one_half]The Aquasizer Underwater Treadmill is an aquatic exercise device that will transform any Home Swimming Pool or Swim Spa into a safe, comprehensive exercise facility. Underwater exercise is recommended by medical professionals for a variety of health benefits. A Very Fun Exercise Program!!! Easy to Handle Weighs Only 62 lbs. Weight (with standard handle): 62 lbs. Packaged Shipping Weight: 72 lbs. Easy to Handle Weighs Only 46 lbs.